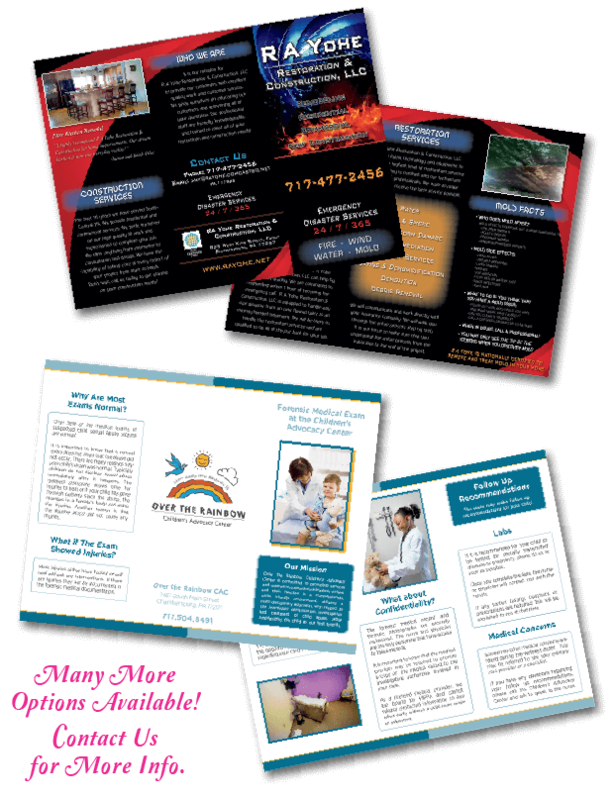 Brochures are a great way to connect with customers by bringing your brand’s story to life and presenting your products and services. It is also one of the most impactful marketing and branding tools a business can create. 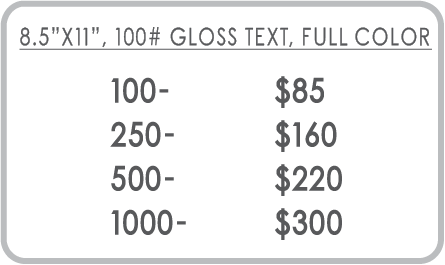 Our standard brochure is a full color, trifold, 8.5”x 11” on a 100# gloss text paper. Other sizes, paper and folding options are available upon request.